BlackBerry is returning to the tablet market -- this time with the help of Samsung, IBM and Secusmart, the German encryption specialist it bought last year. The SecuTablet was developed for customers in German government and is a Samsung Galaxy Tab S 10.5 LTE 16GB bundled with software from IBM and a MicroSD card that combines a number of cryptographic chips to protect data. Alibaba and its Alipay payment affiliate are working on face-recognition tech as a way to authenticate payments. 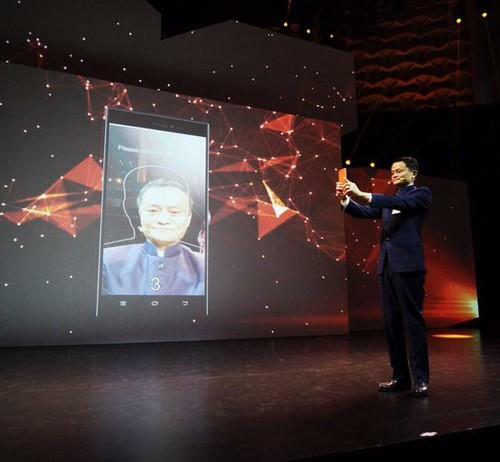 In a demo Sunday at Cebit, Jack Ma, the chairman of the e-commerce giant, confirmed a purchase on the site by scanning his face using the front camera on his smartphone. Other online payment services, including Apple Pay, have also started using biometrics to confirm user purchases. Yahoo has released source code for a plugin that will enable end-to-end encryption of email messages, a response to concerns about government surveillance. It also announced a plan to free users from remembering log-in credentials by offering an on-demand password, a verification code that users can receive on their mobile phones to log into their Yahoo accounts. With hackers lurking in the U.S. Department of State's unclassified email system for months, the government agency decided to take it completely offline for a short time in an effort to clean up malware once and for all. The State Department said Friday it had scheduled a planned outage of the unclassified email system over the past weekend to make security improvements and to respond to "activity of concern" on the network. The European Commission's "one-stop shop" plan to streamline the way cross-border data protection issues are handled has apparently been big-footed -- and complicated -- by the EU's Council of Ministers. The Commission wants a European Data Protection Board to have authority to reconcile differences among countries' privacy regimes, but now the Council says other "concerned bodies" should be able to object to the board's decisions. The aim is to have one jurisdiction for companies like Google, who now find themselves fighting simultaneous, overlapping legal battles in multiple countries. Apple's new ResearchKit framework sounded like an easy win on launch: what's so complicated about a way to let millions of iPhone users participate in medical research? Well, the well-established ethical guidelines and protocols in the field will be news to many app developers. New rules for those planning to develop human medical research apps using the ResearchKit framework include getting consent from users, being clear about the nature and purpose of the research, and having a plan for how data will be kept safe and confidential. Facebook has joined the clique of Internet companies clamping down on what kind of content is acceptable for users to post under their brand (Twitter, Google and Reddit have all made recent moves in this direction as well). Facebook rewrote its "Community Standards" to say that photos of "fully exposed buttocks" were not permitted, while also prohibiting harassment, bullying and hate speech on the site. U.S. tech products and services have been viewed with suspicion by privacy-conscious users in Europe since revelations about National Security Agency snooping blew up in 2013, and now telecom operators see an opportunity to differentiate their products from competing U.S. offerings. On Sunday at the Cebit trade fair in Hanover, Vodafone and Deutsche Telekom were not so subtly highlighting the German credentials of new security products that they introduced. Jim Cramer, the fast-talking host of CNBC's Mad Money, got a shock when he took a call from "Tim in Cupertino" on the occasion of the show's 10th anniverary, and it turned out to be none other than the Apple CEO. The New Yorker imagines an encounter between Hillary Clinton and the email help desk.